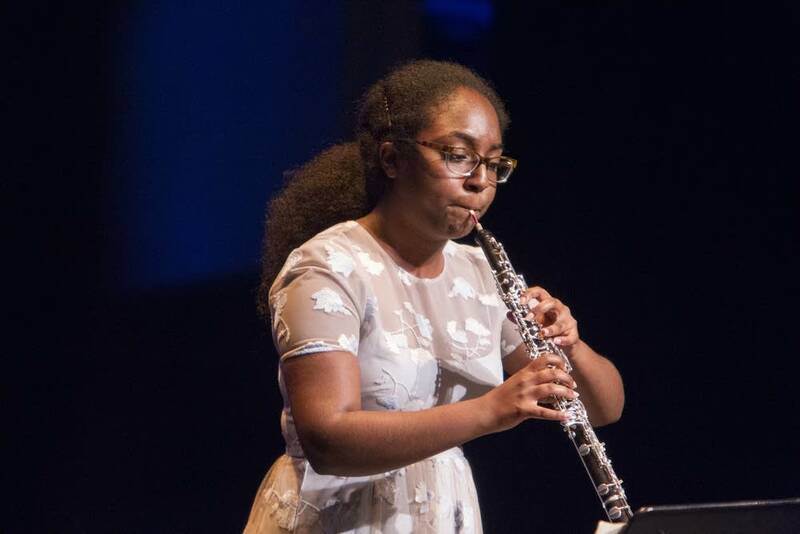 Oboist Sarrah Bushara was a Minnesota Varsity Showcase Artist in 2014 and returned to Varsity the following year, again as a Showcase Artist, with Trio Tesoro. These days she studies oboe performance at the celebrated Curtis Institute of Music in Philadelphia. As truly remarkable as these and Bushara's other achievements are, none of them approaches her current status as a social media superstar (at least they haven't yet). A video she performs with two of her Curtis colleagues originated on Instagram, where it has attained more than 32,000 views. Since being reposted on Twitter, though, the video has garnered 6.5 million views and about 140,000 retweets. Within 20 seconds, it shows the trio trading zippy solo licks of Britney Spears' 2003 megahit "Toxic"  oboe first, then violin, then soprano, and back to oboe. This update on Bushara from October 2016 appeared in the Minnesota Varsity web series "Where Are They Now?"